Tax Advisor | APES Consulting, s.r.o. Ivan Kamhal is a founding partner and CEO of the company. During his professional practice in consulting business he has been involved in a large number of transactions and business cases. 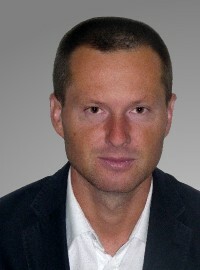 Ivan graduated from the Economic University in Bratislava, specialization Finance and Banking in 1997. He worked more than ten years in international consulting companies PricewaterhouseCoopers and BDO International in the field of tax advisory and audit assurance, therefrom five years in the position of tax partner. He has wide experiences in tax advisory, audit and business consulting which he obtained during many jobs made for the international as well as national clients. Ivan is certified registered tax advisor. From 2003, he is a member of the Slovak Chamber of Tax Advisors. He speaks English, Slovak and partially German.